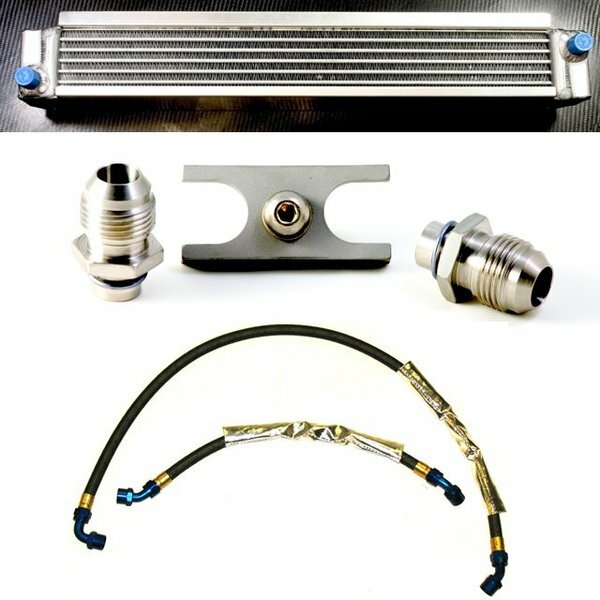 The stock oil cooler on the E46 M3 is simply not up to the task, with oil temps rising quickly on track days. 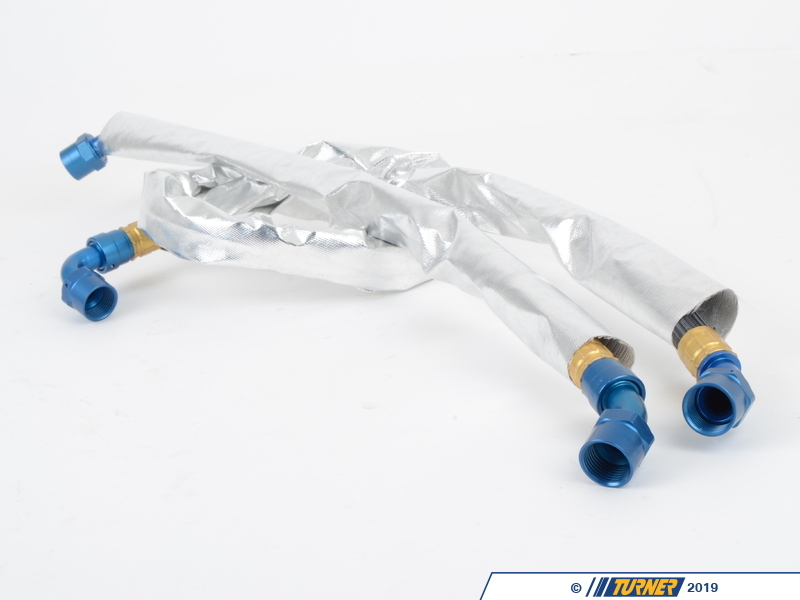 We have solved that problem by assembling this kit with a much larger Fluidyne oil cooler, our own special-length oil cooler lines, and the Turner Motorsport Oil Line Fitting Kit. The Fluidyne oil cooler has more surface area and holds more oil than the original. This not only ensures the oil is cooled better but also that hot oil is circulated through the system less often (less heatsoak of the oil). With this kit on our SCCA T2 M3 we never had oil temp issues, even after two seasons of National and Runoff races. The cooler can fit in the factory location for a safe and clean appearance, however, brackets must be fabricated by your installer. The lines are custom made to our spec with extra strength braided steel with a Teflon outer coating and -10 AN fittings. 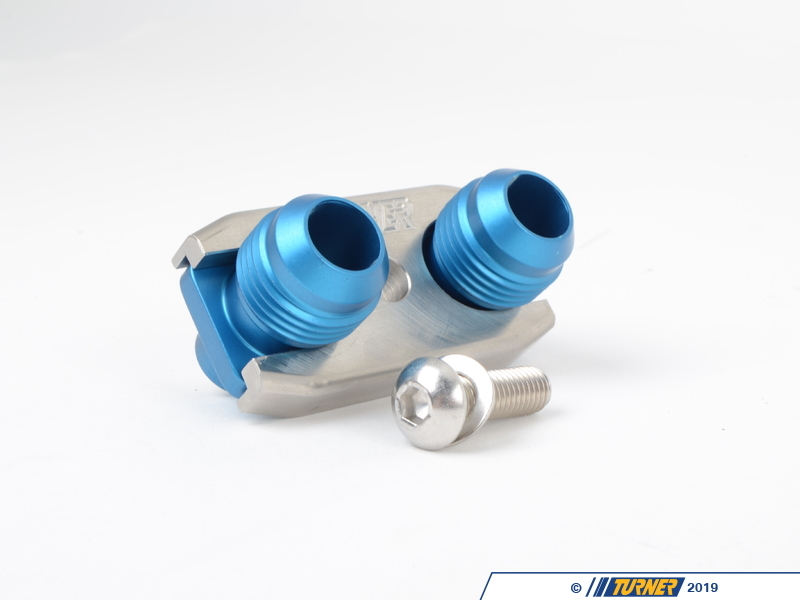 The lines attach to the stock oil filter housing with our Oil Line Fitting Kit and o-rings are included. 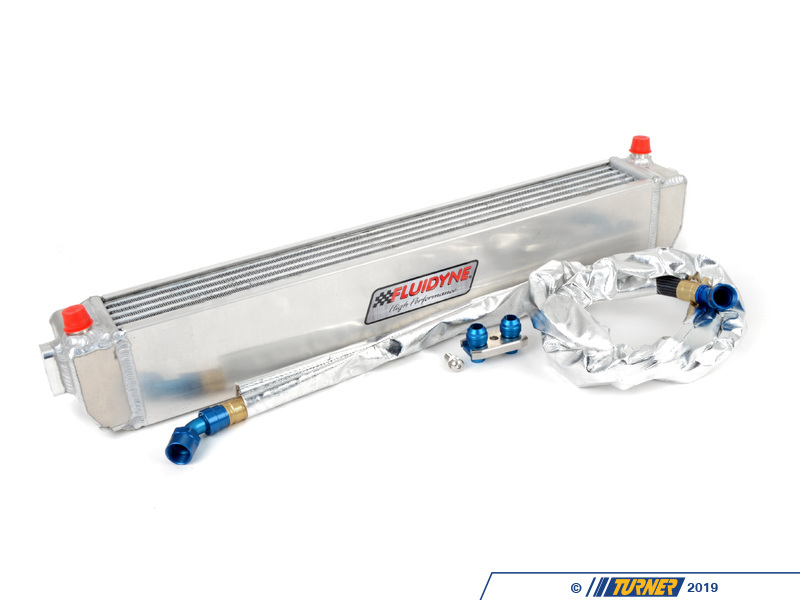 The length of the lines also makes them compatible with most supercharger kits (with custom brackets you can mount the oil cooler so that nothing on the cooler or the supercharger needs to be modified for fitment). 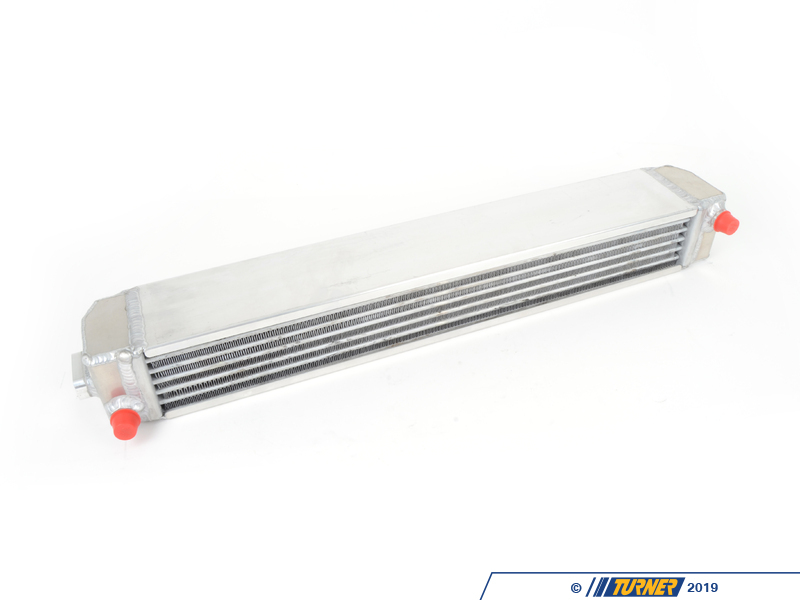 Fitment note: due to the various uses and locations available, brackets are not included with the oil cooler. Hanger brackets will need to be fabricated to mount the oil cooler to the car.